David Conway was born in Charleston, South Carolina and raised on Sullivan’s Island, South Carolina, attending Porter-Gaud School and Bishop England High School. David received his undergraduate degree from the University of Colorado at Boulder and is a graduate of Case Western Reserve University School of Law in Cleveland, Ohio, where he received Dean’s Honors. While at Case Western, David was a leader in the school’s renowned Milton A. Kramer Law Clinic, providing aid to indigent clients. While acting in that capacity, David successfully arbitrated his client’s predatory lending claim. Prior to founding Miller|Conway, David worked as an attorney for a Chicago, Illinois based boutique trial law firm, which was retained by some of the largest law firms in the world to litigate multi-million dollar disputes between Fortune 500 companies. He also worked as a consultant on numerous highly litigious, high-value cases. David also worked with Corporate Counsel for the Law Department of the City of Chicago where he defended the City of Chicago against Section 1983 claims. David gained invaluable trial experience assisting a team of attorneys in a highly-publicized matter involving an Illinois State Senator. David’s team achieved a winning verdict. 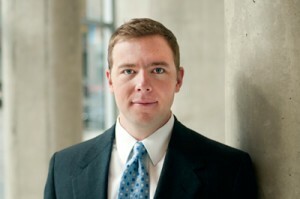 David’s experience ranges from personal injury, contract disputes and securities/antitrust actions to various intellectual property matters and estate planning. Additionally, Goose Creek personal injury attorney David P. Conway has brought and successfully settled numerous plaintiffs personal injury claims ranging from catastrophic brain injuries to car accidents; handled numerous civil defense cases for clients including Xerox and a international oil company; and directed and oversaw massive discovery efforts on multi-million dollar matters. David is passionate about representing injured people in South Carolina. Goose Creek personal injury attorney David P. Conway fights for his clients and is not satisfied unless they receive compensation he believes represents a full and fair value for the claim and the client is made whole. David handles a wide-range of personal injury matters including, but not limited to, trucking accidents, car wrecks, product liability cases, dog bites, breach of privacy and wrongful death cases. He is experienced and aggressive when negotiating and litigating on behalf of his clients and handles each case personally. David continues to have great success on behalf of his personal injury clients recovering millions of dollars on their behalf throughout the State of South Carolina. David handles a wide range of family law matters including divorce cases ranging from uncontested to the highly complex and contentious, child custody matters and child support matters. David chooses to maintain a small family law caseload at any given time in order to provide each case with the attention it deserves. David’s established estate planning and probate practice further diversifies Miller|Conway’s legal scope. David meets with each of his clients to identify their wishes, estate planning issues and needs. This personalized service allows David to efficiently and effectively prepare individualized strategies for each client to achieve their goals and ensure their estate is in order. As probate counsel, David acts on behalf of his clients to prevent or minimize conflicts that may negatively impact the estate; and to settle the estate in an efficient and private manner while protecting his clients. David aggressively represents his probate clients. As a result he has and will continue to successfully litigate probate cases on behalf of his clients. “Court to Review Native American Adoption Case”. NBC Affiliate WCBD-TV Channel 2 News. David Conway. July 27, 2012.